The best free antivirus of 2019: Avira, Avast, AVG and Bitdefender, here’s how to start the download and download them, what changes and which to choose to protect your PC from viruses and malware. The virus is an important and crucial part for anyone with a Windows PC, and you love to surf the internet safely. No need to pay: the best free antivirus programs of 2019 are different and available online even in non-complete but functional trial versions, able to safeguard performance and speed up your computer or revitalize a slow PC, protecting it from viruses and malware present on the Web. Browsing online with good protection is possible through one of the many free antivirus programs ready for download: which ones are the best and which ones to choose and install? Internet offers us different possibilities (such as Avira, Avast and many others) so that choosing the one that suits us and our needs is not easy. 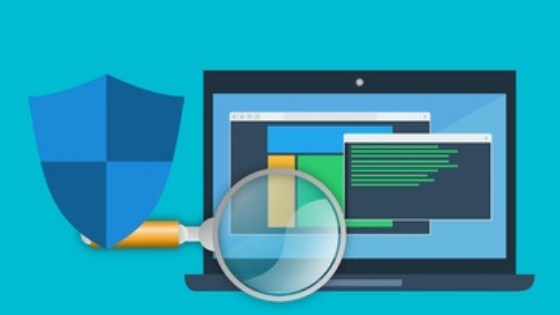 A good antivirus must not only be free, but also provide excellent protection for our PC and Windows 10 operating system, which is always vulnerable and at risk of danger for less prudent users. Here’s what to install. Avira, the famous program with the red icon with the umbrella, is one of the most efficient free software and antivirus to protect your PC and operating system. Avira Free is the free version and able to provide a high level of defense while giving up some features available only in the paid version. How to download it? Just connect to the official website and click on the desired version: free, Security Suite and Prime (for a fee). Clicking on the first one will immediately start the download and at the end you will be able to proceed with the installation of the file (with the extension .exe). Once opened, simply click on “Accept and Install” and wait. Once the installation is complete, you will see the umbrella icon appear first on the desktop or in the bottom bar of Windows. Just start the full scan using the appropriate button to proceed to a system check (which could take a variable time). Avira Free is also available for Mac and Android Smartphones. Another one of the most famous antivirus available also in free format is Avast Free, able to provide complete system protection and with a thorough check of all the features and uses of the PC on which it is installed. If your PC is slow it is no longer what it used to be, Avast is able to remove and delete any old programs or files that weigh on the system, inevitably slowing down its performance. Avast Free is available for download through the official website by clicking on the “Free Download” button for PC, downloading the exe file and starting the installation (be careful to remove any extensions before starting the process, read carefully what is indicated to avoid finding yourself with some potentially useless programs). Once installed, to take advantage of Avast you will need to register for free by choosing the so-called Standard Protection, fill in the requested data and wait for the confirmation link via email. Everything is ready? Well: now you can start the system scan through the Search for Virus or Smart Scan option (which will improve the performance of your terminal). As on Avira, a free version of Avast is available on both Mac and Android smartphones. Make sure the downloaded file is the right one and related to the free version, so proceed with the installation. Without this there will be a month to register for free on the MyBitdefender network and activate the program, creating an account and filling in all the relevant data (you can also register via Facebook or through your Google account). By clicking on the Bitdefender icon that appeared on the PC, you can start a full scan, which will analyze the entire system, identifying any malware and viruses ready to be removed. Even for Bitdefeder, you can get a version for Mac and Android. Finally, AVG is another excellent antivirus that is also available free of charge, with a notification system designed to keep its users up to date (but which could be too invasive). Through the appropriate page it is possible to download the free version of AVG and after a few minutes just click on the option Custom installation, check Basic protection and start everything. Once completed, it starts the system scan: eventually it is possible to customize the operation to choose whether to control the PC in full, check the files or the presence of specific malware such as rootkits (which allow potential hackers to use an infected PC remotely ). Mac and Android versions are available and attention to the possible deceptive installation of AVG Web TuneUp, an extension that could be implemented by mistake by clicking on the warning that usually appears after the start of the program.